I can't find gummy rot mx right? not to keep on rustling, but i don't think i will ever pay inflated prices for cc's and bb's. don't get me wrong, i love them, they are unique and nice, but that many $$$ IMO can be put to better and more satisfying use keyboard or non-keyboard related. again, no offense to those who paid a lot for them. some profit on top should be OK but many folds over original prices are just too much. eh, and a GID nightowl? anyone can share links? There was even a post by CC confirming its existence! Are there any info threads with lists of Bros and CCs anywhere? Or am I just being blind? I may have to try and seek out a couple. That CC list is actually kind of scary. 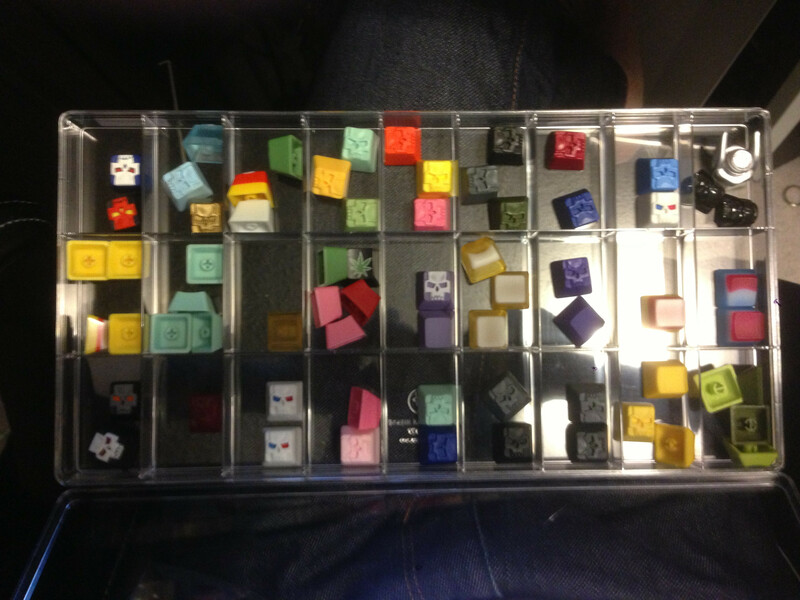 There's too many clacks that I have't even seen a picture of before. There is no chance of getting one of each. In fact there's barely any chance of getting a mere 10% of all available colours! Just an update for the people who got scammed by Beerbelly, Paypal decided in my favour by default and I have the money back in my paypal account. All is well. Price check! wingnut top right hand corner! Cost more than my soul. not my stuff, just a picture i found! Your location gives you away. I just checked your previous posts. Those clack prices make me cry so hard. Pretty sure priceless, don't think one has been sold before. Then again I don't check DT all that often. For those lamenting the difficulty at getting one without paying the earth, it's worth the wait. Took me a long time to get the two I have and I'm super attached to them now. I'd wager I wouldn't be quite so attached to them if I just came on here and threw a bunch of cash around. My advice is don't get salty, just bide your time and be a good member of the community and then your patience will pay off. Two of mine I've received directly from CC at retail. Two I've been cough cough splutter cough. The third one I got from classifieds at slightly above retail (not quite double - given this was my first CC Skull, I didn't complain). There are so many colours and styles out there, no-one is going to be able to collect all of them. Be happy with the one/s you have, or eagerly look forward to the thrill of receiving your first one. This post sounds more like Clack therapy than anything. I have been spending too long in the Clack Therapy thread since that Fallout Yellow set appeared. well im gunning for a senzunite, but given that there is only one and its just gotten to HP, i think im just gonna keep on rustling my own jimmies over it. Can someone estimate how much would it come to have all 1u caps of my 88 key KB replaced by clacks? 75 * x = ? More money than is sensible. Well .... it's just money, and we can always make more!! But the joy of collecting ..... priceless!! Paying second hand prices and assuming an average price of $175 per clack, you're looking at $13,125. All things considered, I would imagine you could pretty easily end up crossing the $15k mark if you went after some of the more rare/desirable keys like Vaders, Tri-Colors, and Slushies. Paying close-to-retail prices, you can probably estimate on roughly $40/ea, which puts you at about $3K. Unless you've got god-like patience AND luck, I don't see you amassing an entire keyboard of clacks with close-to-retail pricing. At a minimum you'd be looking at $30 retail * 75 = $2,250. As a rough average, assuming you can get a fair percentage for under $100, plus the remainder for over $100, an average of $100 each would come to $7,500. If you want rare ones all over, you'd be looking at $200 each, for a total of $15,000. If you want one-offs, or really rare ones, expect around $400 each, for a total of $30,000. Still wondering why we need this thread stickied and also the Clack Therapy thread. Why not just make this an Artisan Cap Valuation Thread, at least that would seem a bit less redundant. 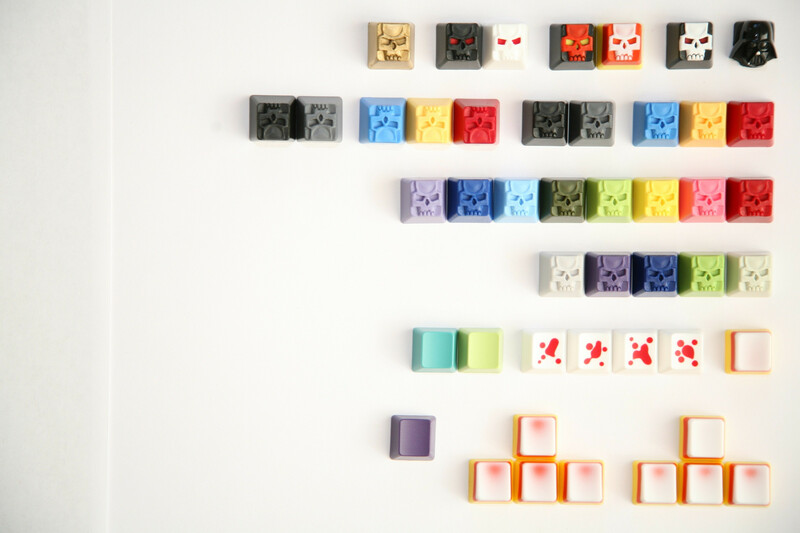 Probably because more people as what the values of Clacks is than any other artisan keycap. And because Clacks are the only ones that go for silly, silly prices. Finally back from training! I saw a white with red eyes for sale, but I've never seen one before. Anyone have any info? 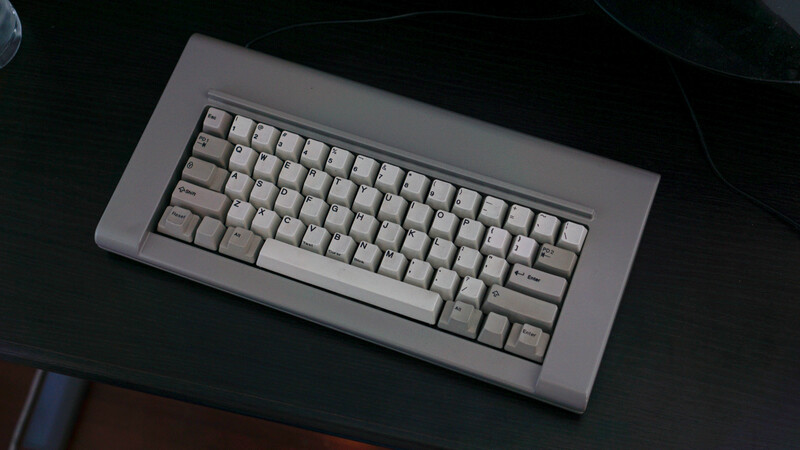 Classroom boards: All those above, IBM Model M(Thanks Moose! ), ?? is it the one from pmh? the eyes is colored with sharpie isnt it? I don't think that would cost less than 100$, unless its another case of the yellow WASD again. i can't find it HP. can you share the link to it? Wow, that entire top row!! Very nice! !